Maronite Archbishop Paul Matar of Beirut praised the final statement of a conference in Cairo organized by Al-Azhar University, Sunni Islam’s leading institution of higher learning. 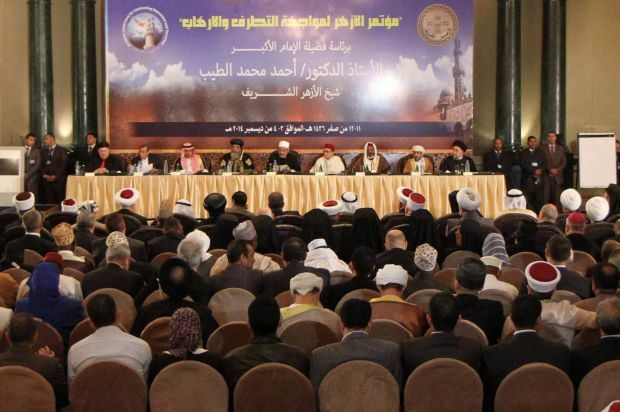 Around 600 Muslim scholars from 120 countries, as well as representatives of Eastern churches, gathered for the conference. But he stressed that it will take time. “This final statement needs maybe 20 years to be rooted in reality. We need a new spirit, a new situation. It’s not something that will be accomplished overnight,” Archbishop Matar said. “Guns and military solutions” are not the answer, the archbishop said. One-third of the Muslim population lives outside of Islamic countries, the archbishop noted. “If there is a problem between Muslims and the world, then 500 million Muslims will have problems in the world,” he said. Archbishop Matar spoke at the Al-Azhar conference Dec. 3, and he outlined for CNS some of the key points of his speech. He said he focused on the historical good relationship between Muslims and Christians. Dating back to the beginning of Islamic history, Archbishop Matar pointed out, the Quran never referred to minorities. Instead, he said, the Quran spoke about the “people of the (religious) book” which means the Bible and the Quran. “So if the prophet did that, that means that all the Muslims must also accept coexistence with Christians,” he said. In his speech, the archbishop also noted that the Quran states that nobody can impose religion on anybody. “That means there is to be freedom of conscience,” he said. “So what happened in Iraq is unacceptable in the name of Islam, in the Islamic religion. It’s very important to state that, because Daesh (a loose Arabic acronym for the Islamic State group) are operating under the false pretense that the Quran gives them the right to expel Christians. So what they are doing is against Islam,” Archbishop Matar said. He also reminded the attendees in his speech that the Second Vatican Council invited Muslims and Christians to forget the past and to create a new chapter of understanding and dialogue.